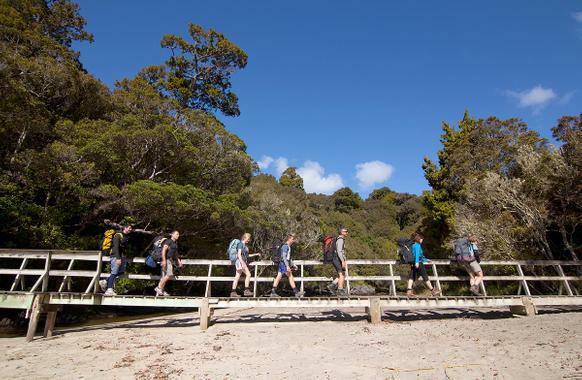 The Rakiura Track, located in Rakiura National Park on Stewart Island, is the southern most walk in New Zealand . Hikers often take three days to walk the 32-kilometre (20 mi), but it can be done in one or two days with the right fitness. 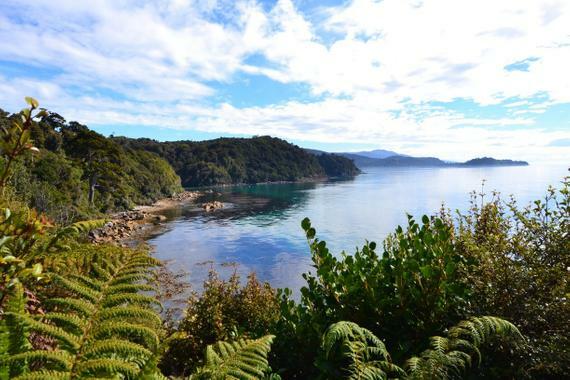 Lee Bay, 5 km north of Oban (Stewart Island's only settlement), is the most common starting point, with the other end being Fern Gully, 2 km west of Oban. You can arrange transport from Oban over the roads to and from the ends of the track, or choose to walk along the roads. 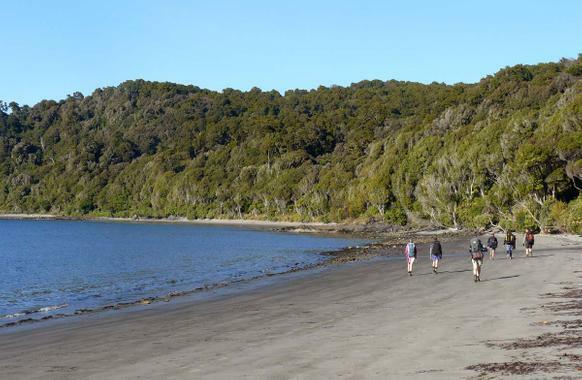 The track crosses steep hills covered in dense forest through the middle section, but generally follows the coastline for a large part of its length, passing by small inlets, large bays and mudflats. In general, the track is well-maintained, and of easy to medium difficulty. 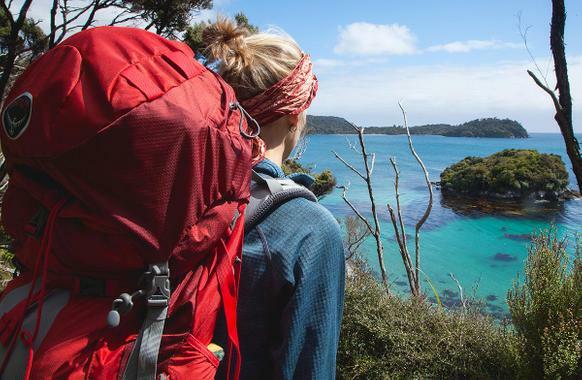 Many hikers have the opportunity to experience a rare encounter for New Zealand's national icon, the Kiwi bird. 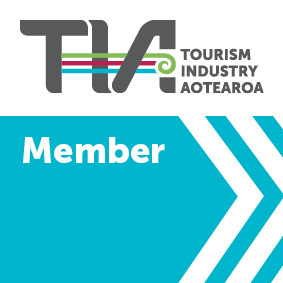 Stewart Island is one of the only places in New Zealand you will have the opportunity to see the Brown Kiwi in in the wild. Many hikers choose to stay overnight in the two huts at Port William and the North Arm of Paterson Inlet, offering bunks and mattresses. 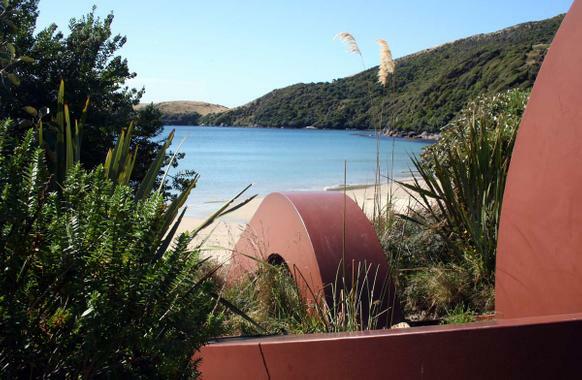 Alternatively, there are also campsites at Maori Beach, Port William and North Arm. There are no cooking facilities, or toilet paper on the trail, so hikers are advised to bring these items with them. Supplies can be purchased from the local store in Oban before setting off. It is strongly advised to book your huts in advance due to demand.